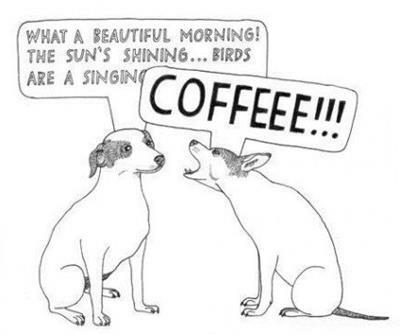 As a coffee drinker, I can totally related to this. It’s an absolute necessity in the morning. I’m reading this with coffee cup in hand. Cheers! Diet Coke with two Excedrin tabs. Lots of caffeine in that. I saw a cute quote lately: “move aside coffee, this is a job for alcohol”. I can relate (lately). I love coffee, too. It makes me very agitated, though. It is lovely stuff. I can just feel it coursing through my veins, driving up my adrenalin at first sip. Sigh.